We subscribe to Cook’s Illustrated, a cooking magazine that is decidedly not vegan. 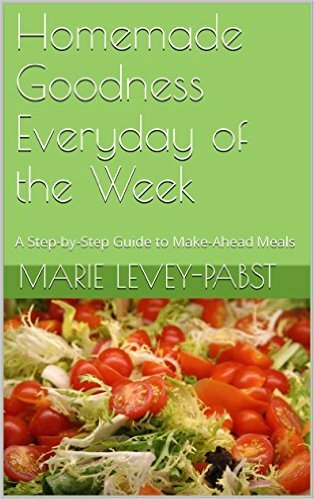 Easily 80% of the recipes have meat, and the rest have dairy or eggs. But I love reading about the cooking techniques they use, and it’s always fun to veganize such animal-product heavy recipes, just to prove it can be done! In this last issue they developed a recipe for one of my personal baking favorites: scones! These weren’t my usual chocolate-chip, sugar-dusted goodies though; these were proper British scones! All I need next is a pot of Earl Gray! Well, this I had to veganize (and “healthify” with some whole-wheat flour and less sugar) and I’m glad I did. The result is a delicious baked treat, perfect for topping with loads of (Earth Balance) butter and jam, and serving with a hot cup of Earl Gray. 3) Put the flours, baking powder, salt and sugar in the large bowl of a food processor. Pulse about 5 times to mix. Add in the butter pieces and pulse about 20 times until the butter is fully incorporated and the mixture looks like very fine crumbs with no visible butter. If you don’t have a food processor, you can use a pastry cutter, a couple of forks, or your hands to fully blend the butter into the dry ingredients. It should just take a bit more time. 4) Pour the flour mixture into a large bowl and fold in the raisins with a spatula. 5) In a separate small bowl, measure out the cup of milk and then reserve 1 TB of milk off to the side – you will use it later for brushing the tops of the scones. Then, use a fork to whisk the flaxseed meal mixture into the bowl of milk, whipping until the foamy (about 1 min). Fold the milk mixture into the flour mixture until almost no dry bits of flour remain. 6) Pour the dough onto a floured surface and knead the dough about 25 times, or until it comes together and is smooth. Don’t worry about over-working it – the cool thing is that the butter coating all that flour prevents glutens from forming in the flour. So these scones, unlike their flakey American counterparts, want you to work ’em good in the kneading! 7) Pat the dough out in to a disk, and then use a flour-dusted rolling pin to roll out a 9-inch disk. Use a biscuit cutter or a small water glass (my low-tech option) to cut out rounds of dough and put them on the prepared baking sheet. Re-work and roll out dough scraps as necessary. I usually end up with 11 or 12 scones. 8) Brush the tops of the scones with the extra milk you already set aside. Then, turn the oven temperature down to 425 and put the scones in the oven. Bake for 10-12 minutes, then remove and transfer scones to a cooling rack for 10 minutes. Cut them, top them with lots of butter and jam, and serve! 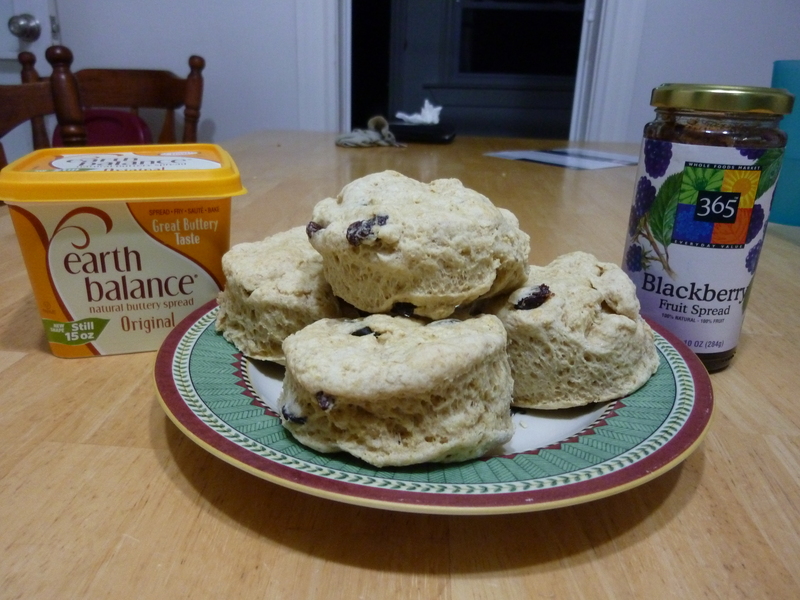 *This recipe is based on the British-Style Current Scones from Cook’s Illustrated.